I would like to thank everyone who purchased a pup from the "A" litter and please don't forget to send updates and pictures! 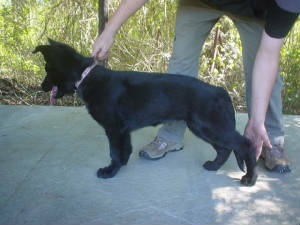 Arko (black male) may also be available to the right sport home. 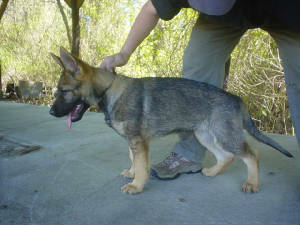 If not he will stay with Dennis Johnson at www.johnsonhaus.com for training. Please contact Dennis for information on this boy. 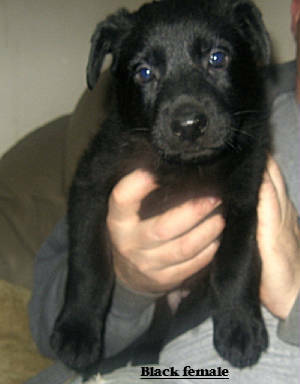 Alex would be very suitable as a sport or very active family pet. I will only let him go to a working home or someone who has experience with the breed. She is doing great and getting big. She is 37lbs. now and still full of fire. 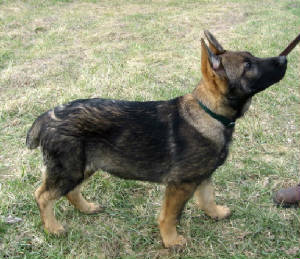 Her tracking and obedience is going great. She's teething right now so we have laid off biting anything for a while. 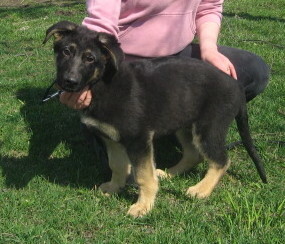 Her drives are still very strong and she is getting along great with tons of people and dogs. She is everyones favorite at the club. Her grips are absolutely amazing and she is completely unshakable. 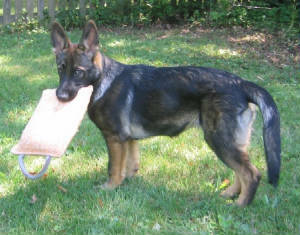 From gun fire, the whip, being pushed or pulled, loud noises, it doesn't matter, she won't let go of the sack or bite pillow. I forgot to tell you that she has started with the police department and we have begun preliminary training for narcotics work. Her nose is unbelievable! 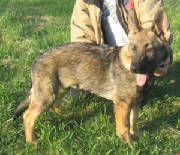 Arko MAY be available to the right sport home. 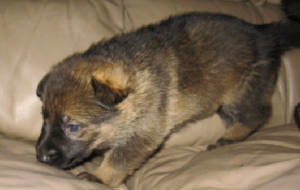 A small but quality German Shepherd breeder.